Do you hate mutants and evil robots? Yeah! 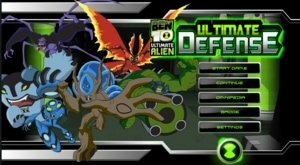 Let’s kill all these evil creatures with Ben 10 Aliens. 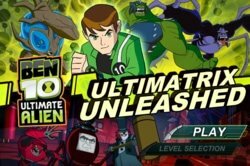 The new Ben 10 game is here. 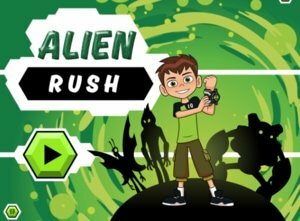 Ben 10 Alien Rush is a good addition in the Ben 10 Running games category. 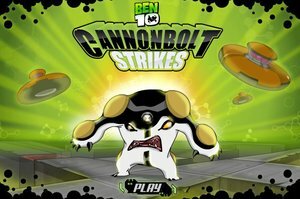 Evil aliens are attacking from all sides to stop Ben’s running mission. 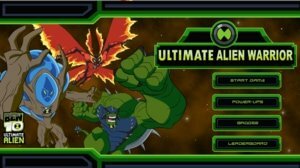 So, help him to kill all alien comes in way to complete his run. 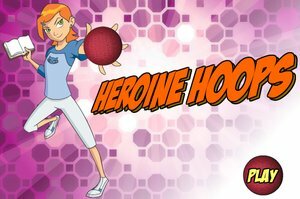 The game is here for online playing as well as download it for free to enjoy offline. So are you ready to play? Wait, wait! Before playing you must know about the game. 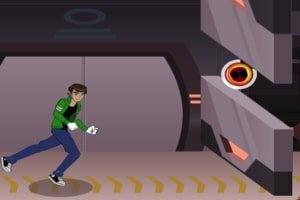 Ben 10 Alien Rush is a simple Running game. 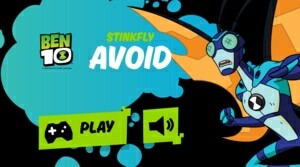 You have to destroy aliens, collect green badges and reach to the end line as fast as you can. Don’t worry! It’s pretty easy. 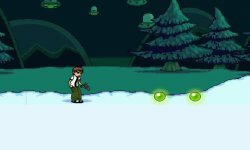 The game is all about running in the right direction at the right time to save yourself from the alien attacks and attack them back. Otherwise, if you got hit you might go down in no time. The gameplay section is prepared for your easiness so let’s have a look towards it. 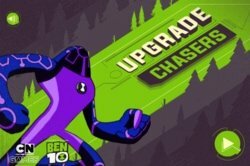 Ben 10 Alien Rush game has nine total levels. While there are three major levels and each major level has three sub-levels. 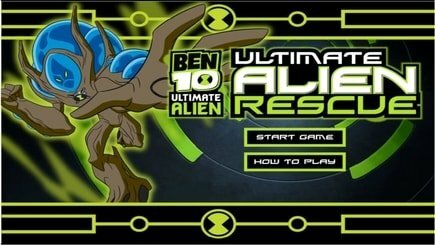 In the first major level and its three sub-levels, Ben 10 run through a river while the water alien attacks him. So he destroys them with a back attack or avoids to save himself. So, if you want to avoid them than run in a direction to escape the bullets fired at you. And if you want to kill them back then you have to do counter attack while continuously running. At the end of the third sub level, the evil water monster appear. You have to defeat this water creature with continuous attacking and avoiding his attacks. 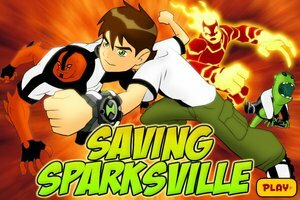 In the second major level, Ben 10 runs through a valley. There are plenty of shooters wandering around that valley. So you have to escape from this place to reach the finish line. Be careful, the bullets from shooters can kill you. Again just like the third sub level in 6th sub level a Bee Monster appears and its killing is required to play next three levels. 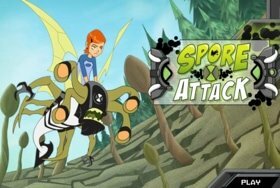 In the last three levels, Ben 10 appears in a vast football field. There are jokers who shoot at you and even fight with boxing. 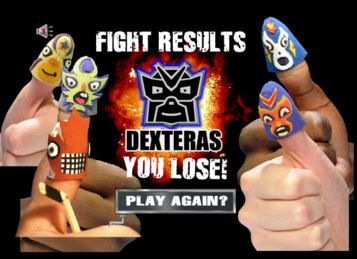 You have to kill these jokers to win the game. At the end of the 9th level, an evil joker appears who fight by throwing bog bombs at you. That’s all we can do for you! Now you are ready to run across in different situation to approach the finish line. 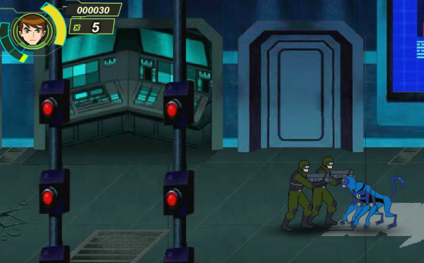 Jump into the ground and kick out the evil aliens and jokers with your powerful attack.